Shell Point Retirement Community concludes the Southwest Florida Symphony installation of its 2018-2019 Fine and Performing Arts Series with a performance of “Back-to-Back Bach” at 7 p.m. on Thursday, March 21 at The Village Church on The Island at Shell Point, 15100 Shell Point Blvd. in Fort Myers. Tickets for this event cost $25 and can be purchased online at www.shellpoint.org/concerts or by phone at 239-454-2067. Pianist and arranger Matt Herskowitz opens a new window for experiencing the infamous works of Bach with a concert performance that reinterprets the composer’s music from a contemporary perspective, exploring its rich harmonies, fluid counterpoint and rhythmic groove in a multitude of musical styles. 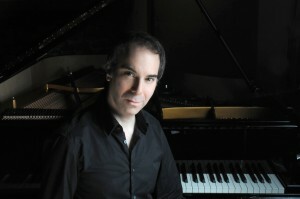 Drawing on his extensive experience in a variety of musical idioms, Herskowitz lends a unique voice to the music while maintaining the compositional integrity of the original, resulting in new settings that feel completely natural. The program at Shell Point will include “Harpsichord Concerto in D minor,” and several of jazz-fusion arrangements of Bach compositions.